Mid level production facilities depend on medium- sized production embroidery machines to get the job done right and TAJIMA has the widest selection of 4, 6 and 8 head embroidery machines in the industry. Faster production runs, more consistent stitching, higher design quality and reduced set up times make TAJIMA commercial embroidery machines the most efficient and reliable embroidery equipment in the world today. 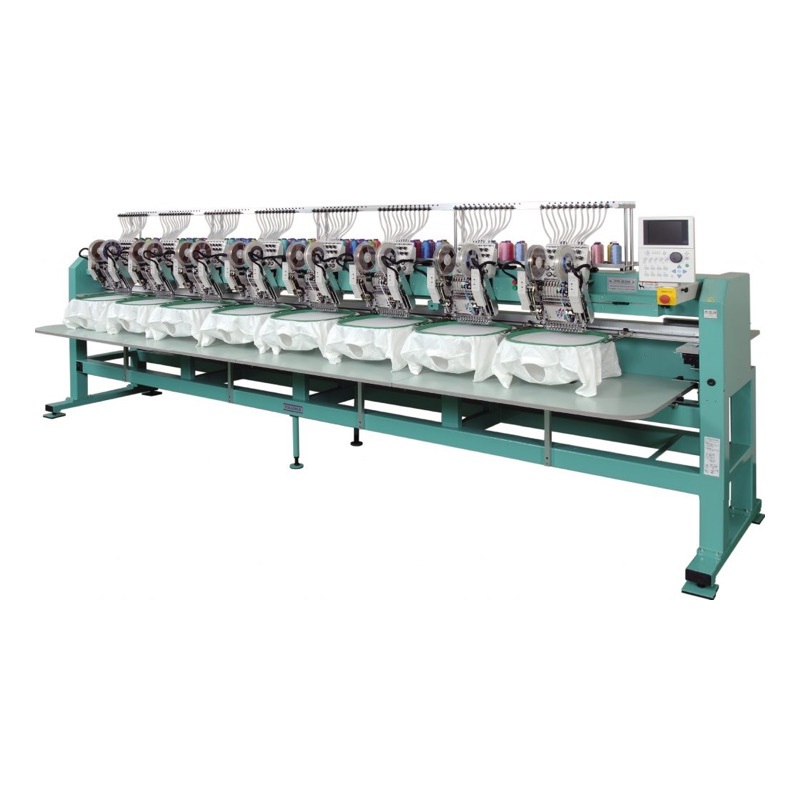 THE No1 multihead embroidery machine. Powered by Tajima’s exclusive MicroSmart Technology system, which closely manages machine operation, guaranteeing the most accurate stitch placement while heading off problems before they occur. Two sewing field versions for each model: 450mm x 360mm or 450mm x 500mm. Special new head design that allows stitching right up to the bill of a cap. Non-volatile memory, which ensures no loss of design information in the event of a power failure. Clean-up function that efficiently adjusts fine stitching with no reduction in quality. Quick change system which minimizes downtime between jobs by making the changeover process from caps to tubular (and back) lightning fast.